Monday. 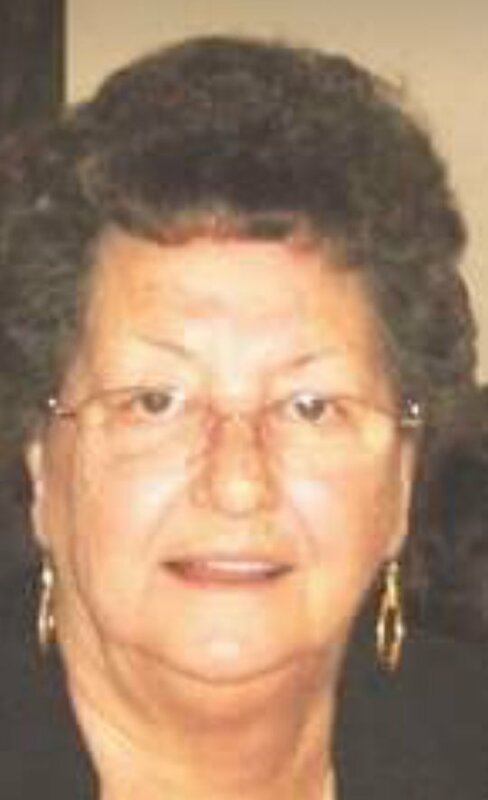 February 5, 2018 – 2:00 P.M.
Hulda Lily Dykes Baugh, age 76, of Somerset, passed from this life on Friday, February 2, 2018 at her residence surrounded by her loving family. She was born on April 7, 1941 in Dykes, Kentucky daughter of the late Bill Dykes and Laurie Rose Dykes. On October 11, 1961 she was married to Charles Baugh and they have enjoyed 56 years of life together. Hulda was of the Baptist Faith and a long time member of the Seven Oaks Baptist Church. She enjoyed the beauty of flowers, gardening, cooking and spending time with her family especially her grandchildren. She was a loving and caring wife and Mother. Hulda embraced life and lived it to its fullest. Our Loss is truly Heaven’s gain. She leaves behind to cherish her precious memories her loving and devoted Husband; Charles Baugh, a Son: James Clarence Baugh (Denise Hardwick) of the Dixie Bend Community, her Daughter; Lorie (Mike) Monroe of Somerset, Sister; Lila Thompson of Somerset, Grandchildren; Billy Jack Baugh, Steven Lee, Amanda Lee, Eric Hardwick, Aaron Hardwick and Nathan Hardwick and her Great-Grandchildren; Kendra, Chase, Nevaeh, Peyton, Jordan, Chase Aiden, Kamron and Jayden, Sisters-In-Law; Donna Dykes of Indianapolis, Indiana and Barbara Dykes of Somerset along with a host of other relatives and friends. She will be sadly missed by all those who knew and loved her. Visitation will be on from 6:00 p.m. until 9:00 p.m on Sunday, February 4, 2018 in the Chapel of Southern Oaks Funeral Home. The Funeral Service will be on Monday, February 5, 2018 at 2:00 p.m. in the Funeral Home Chapel withBro. Pete Mounce and Bro. Vestal Meece officiating, Interment will be in the Southern Oaks Cemetery. In lieu of Flowers, contributions may be made in her memory to the Love Divine Baptist Church or Hospice of Lake Cumberland in care of Southern Oaks Funeral Home. Southern Oaks Funeral Home is entrusted with the arrangements for Mrs. Hulda Lily Dykes Baugh.